discuss climate change adaptation policies with other MOOC participants. 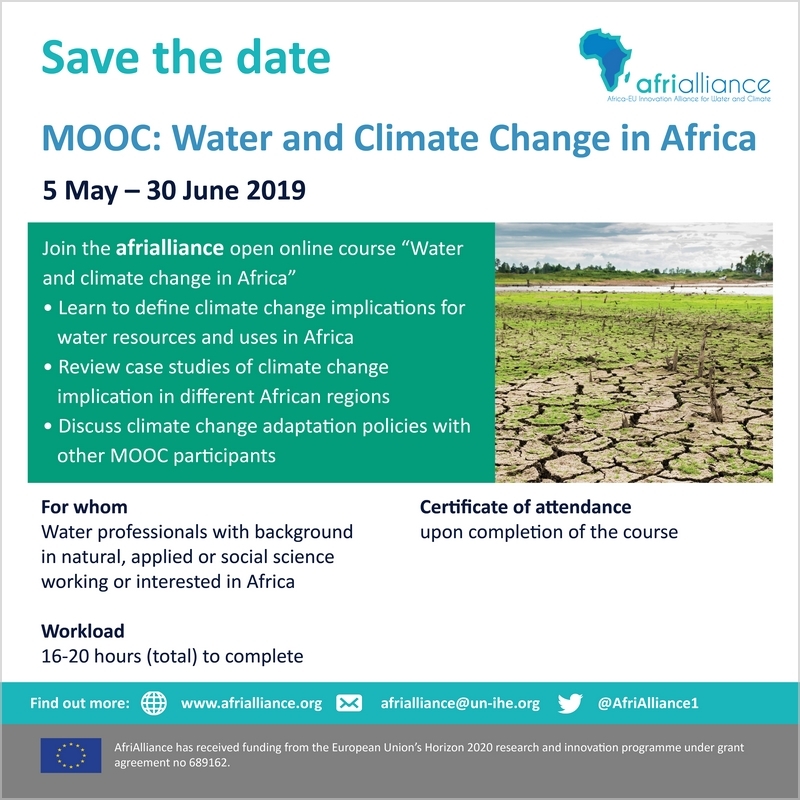 This MOOC is primarily intended for water professionals with a background in natural sciences, applied or social interested in Africa. The certificate of participation is provided at the end of the course. The workload is 16-20 hours in total. AfriAlliance has received funding from the European Union's Horizon 2020 research and innovation programme under grant agreement n° 689162.